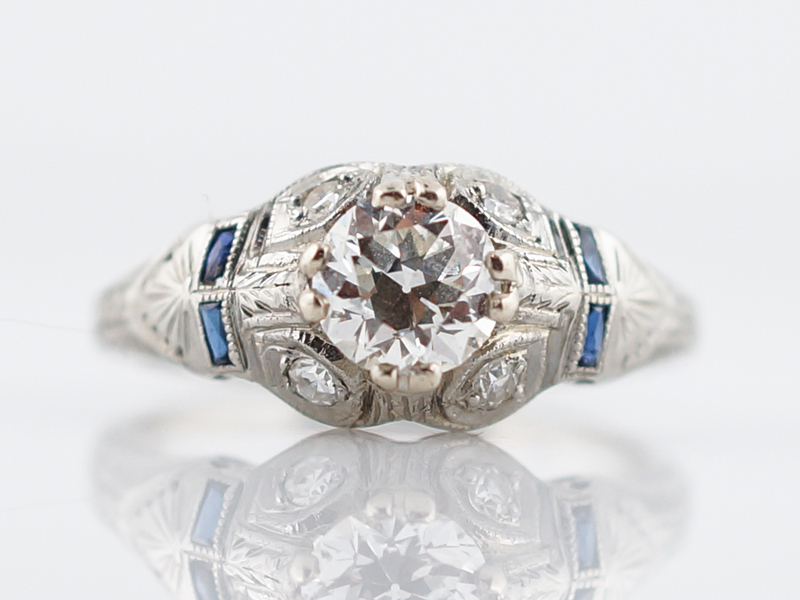 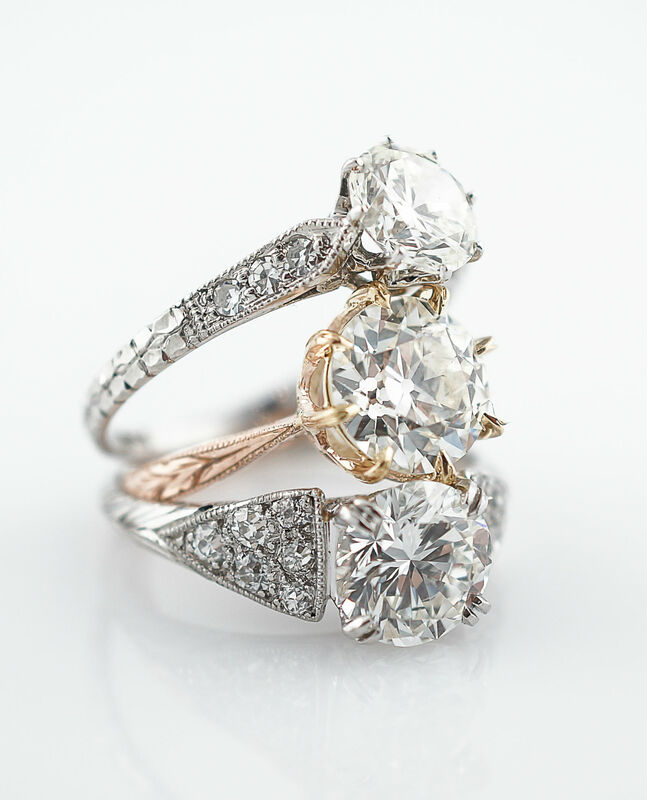 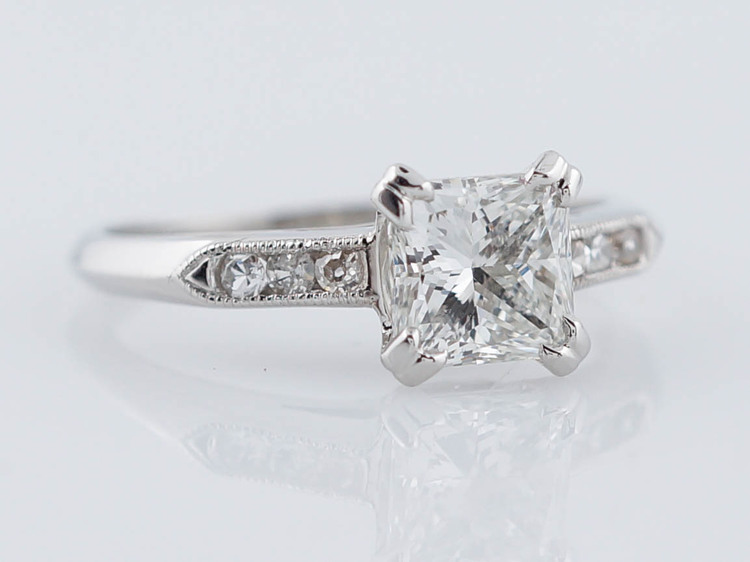 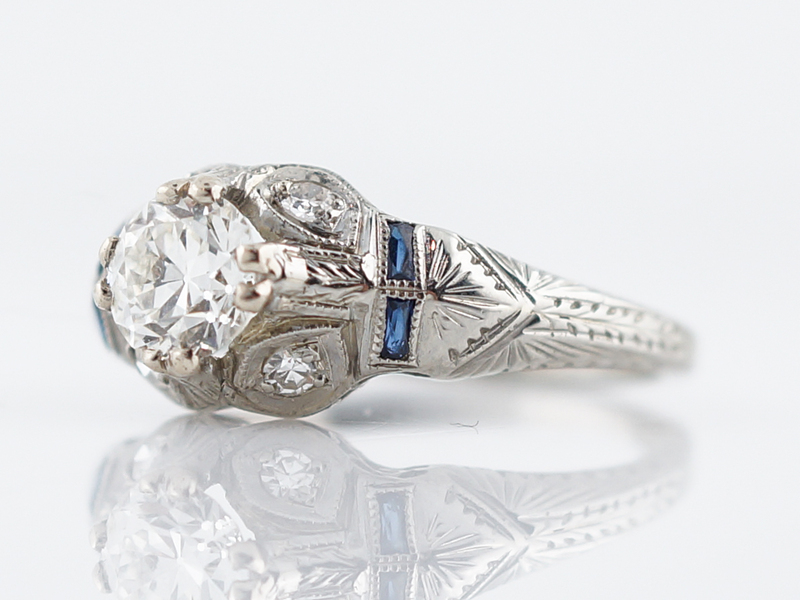 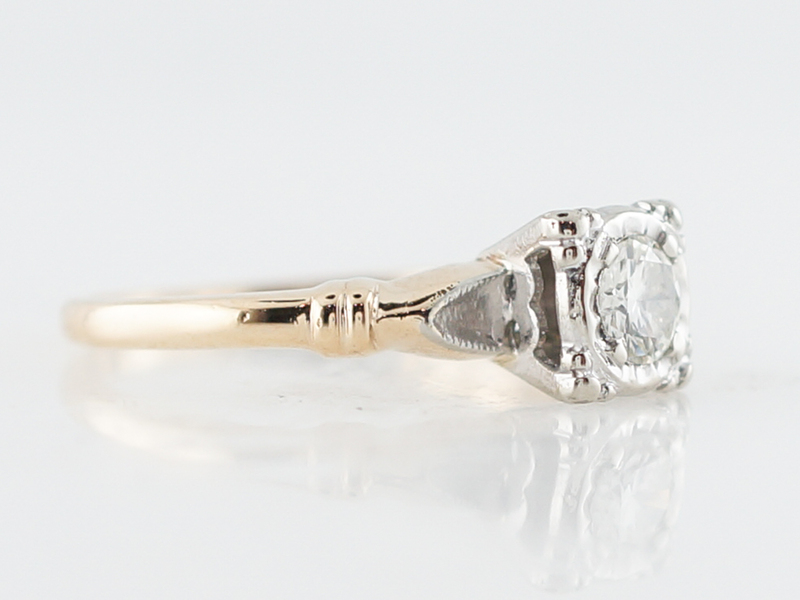 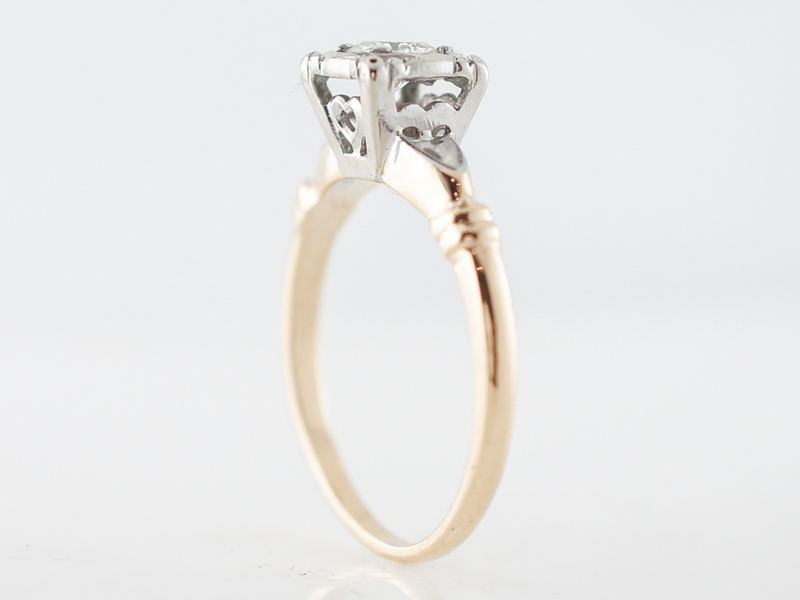 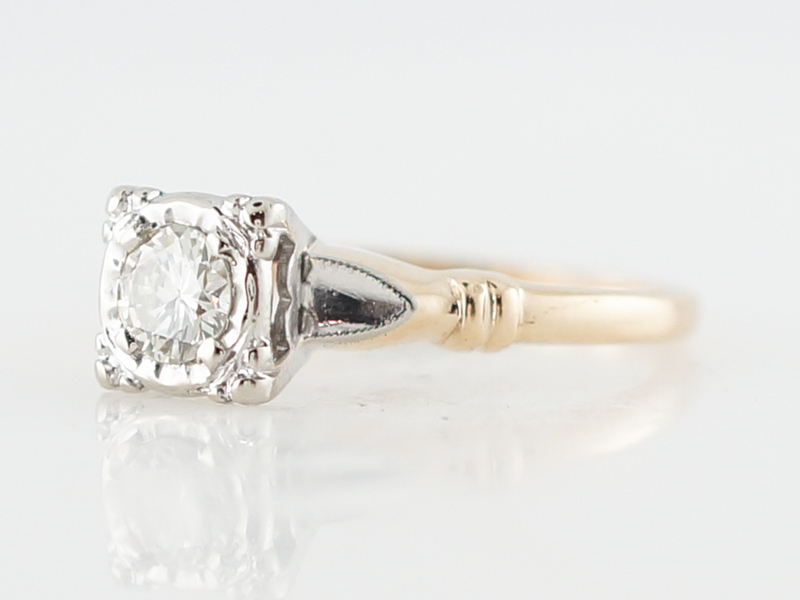 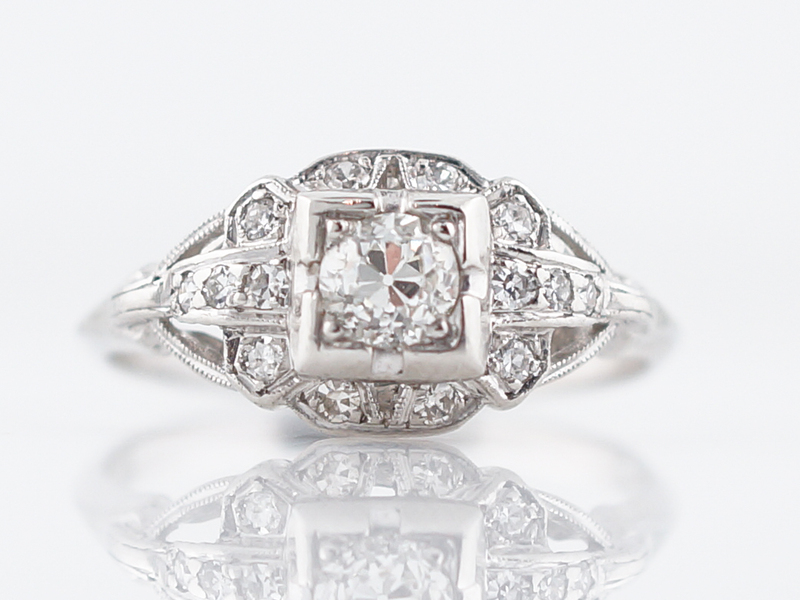 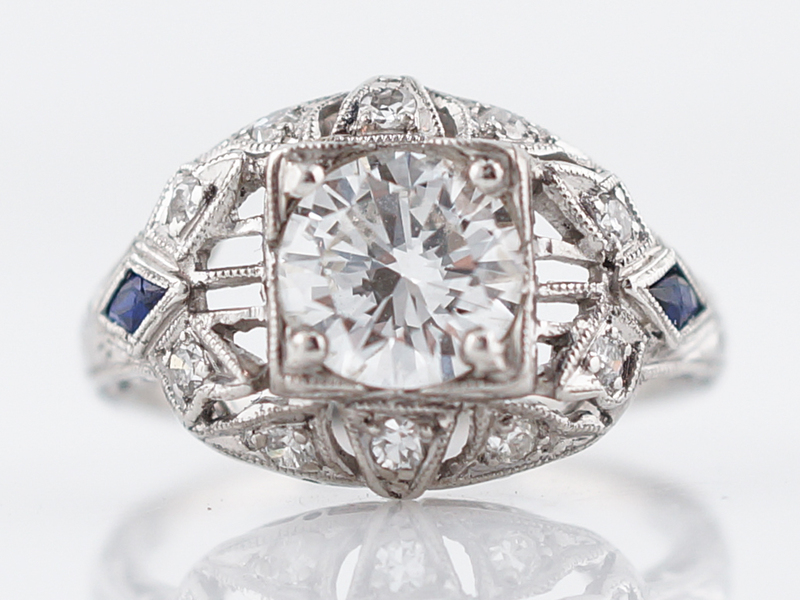 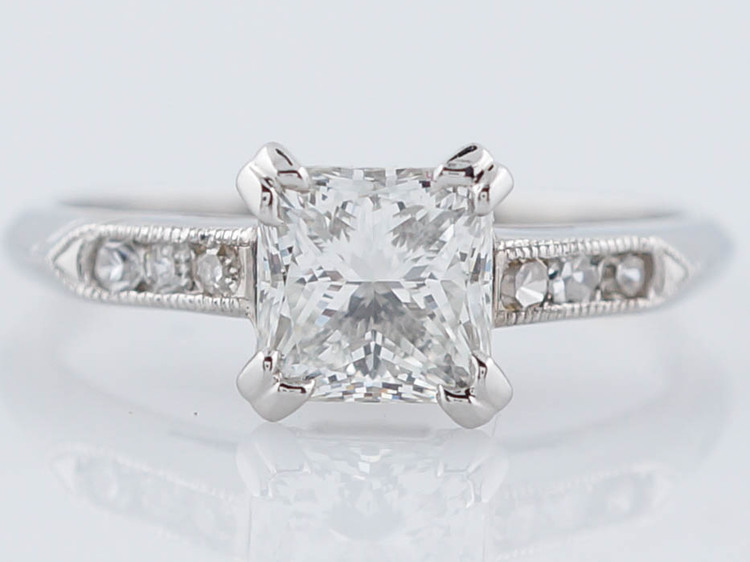 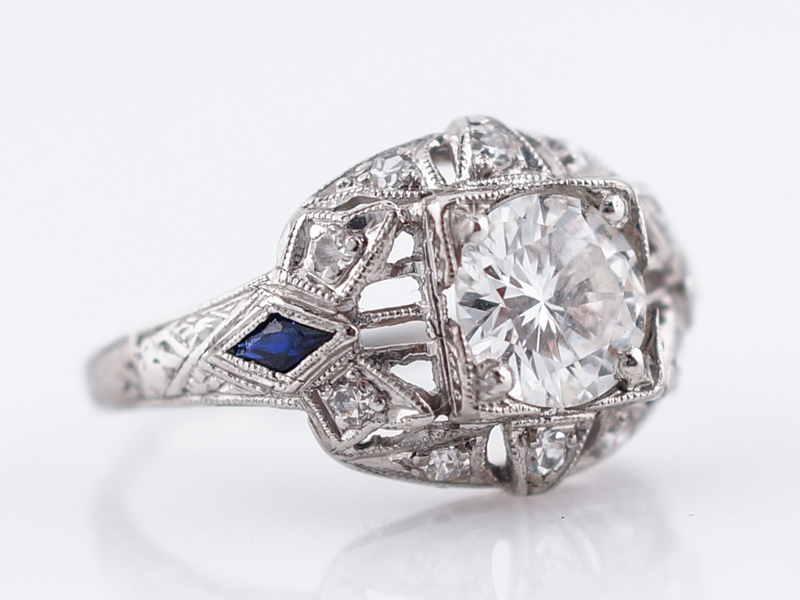 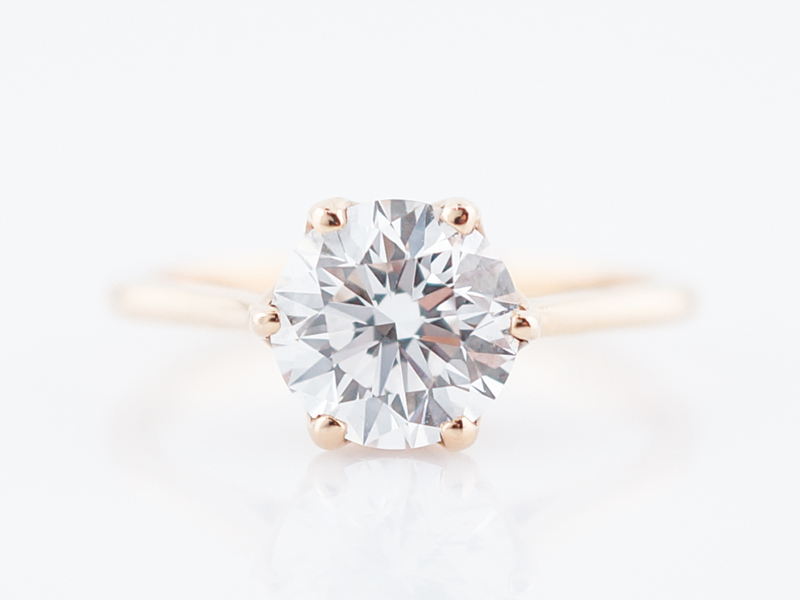 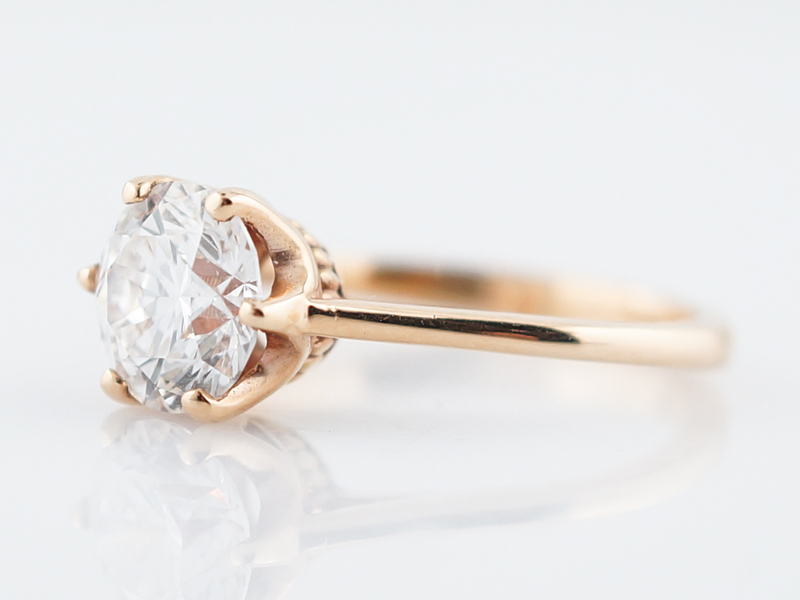 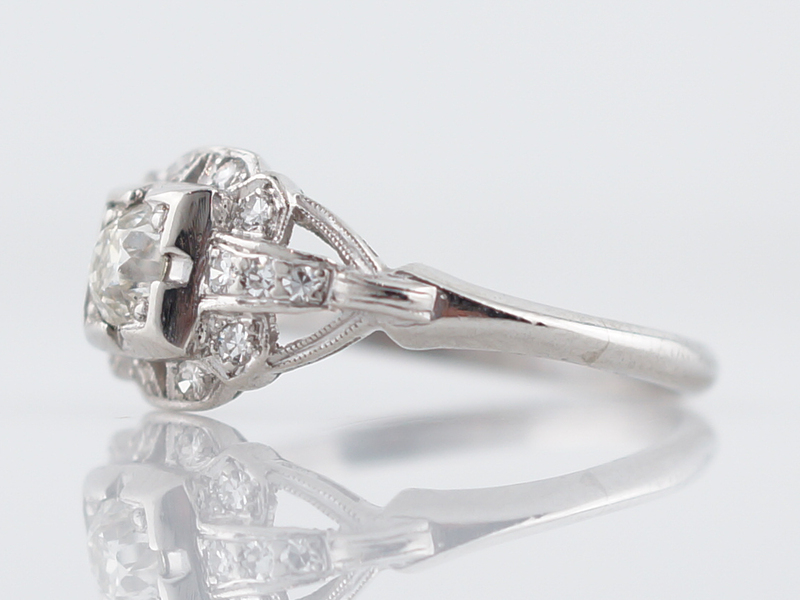 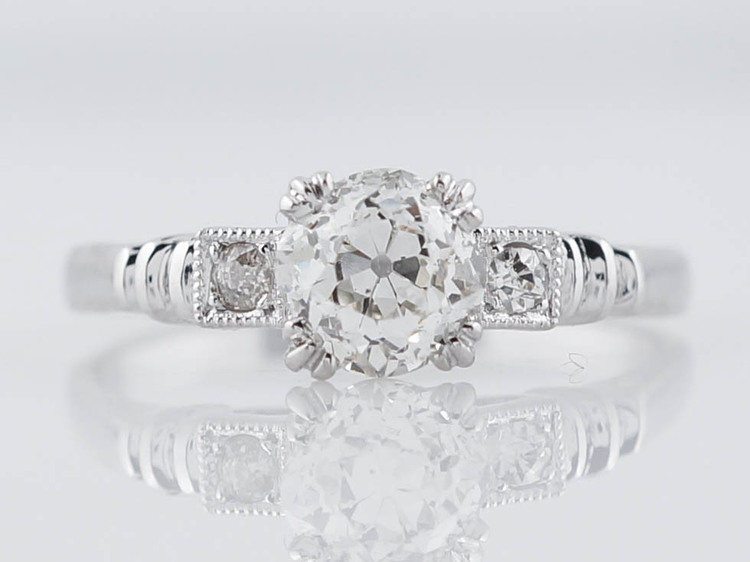 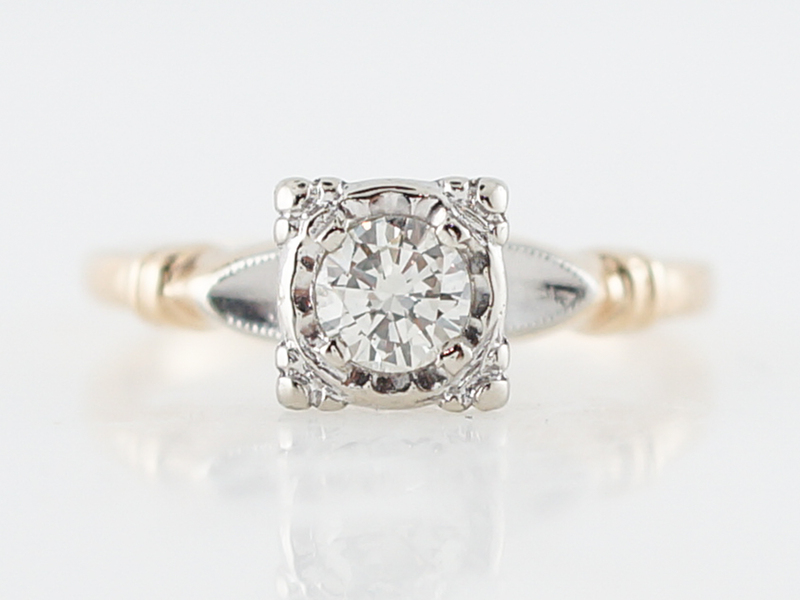 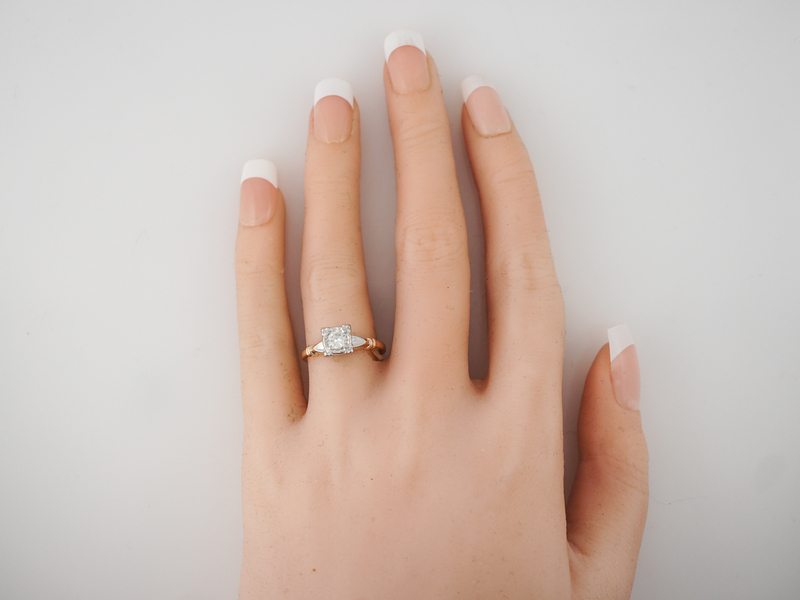 This engagement ring is from the retro era and features some really special details. 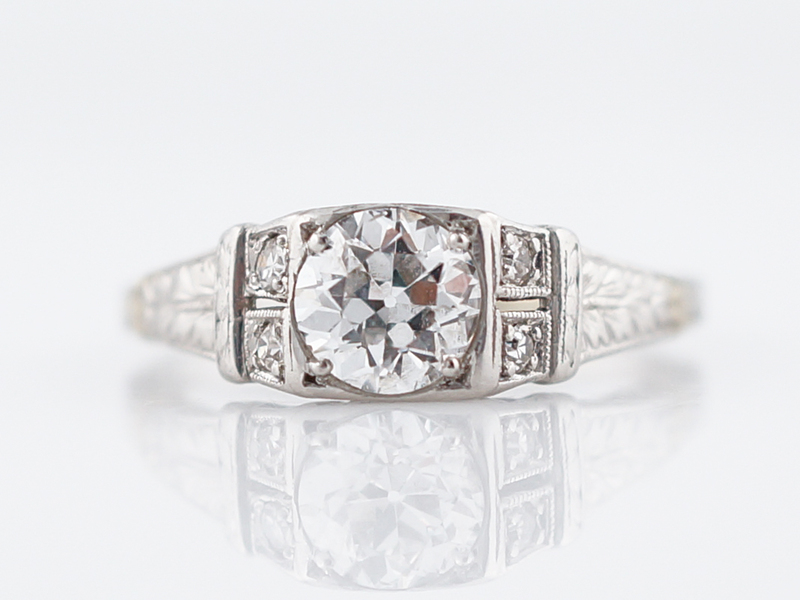 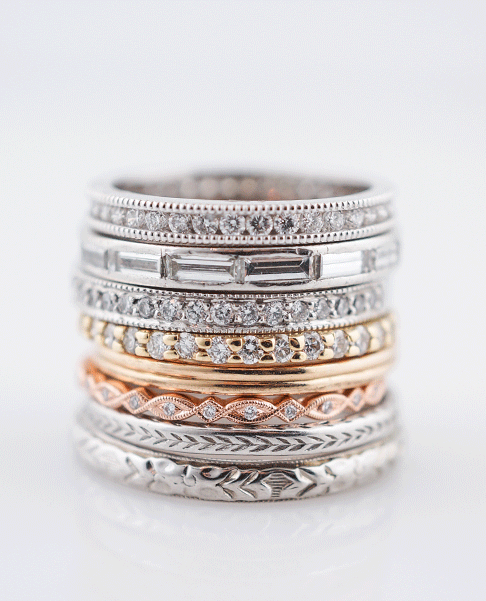 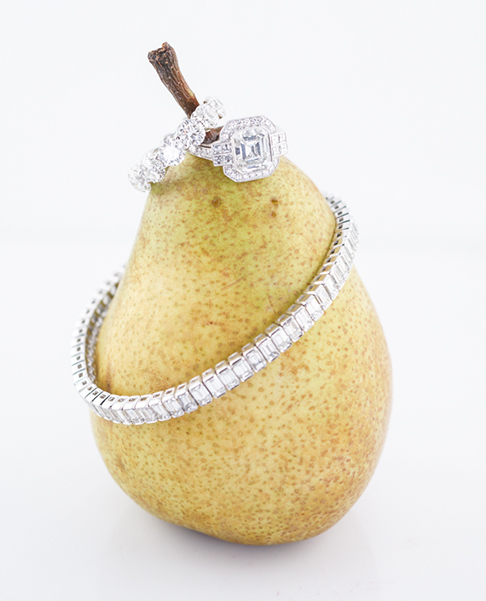 In 14k yellow and white gold, this vintage engagement ring offers the versatility and desirability of a two-tone look. 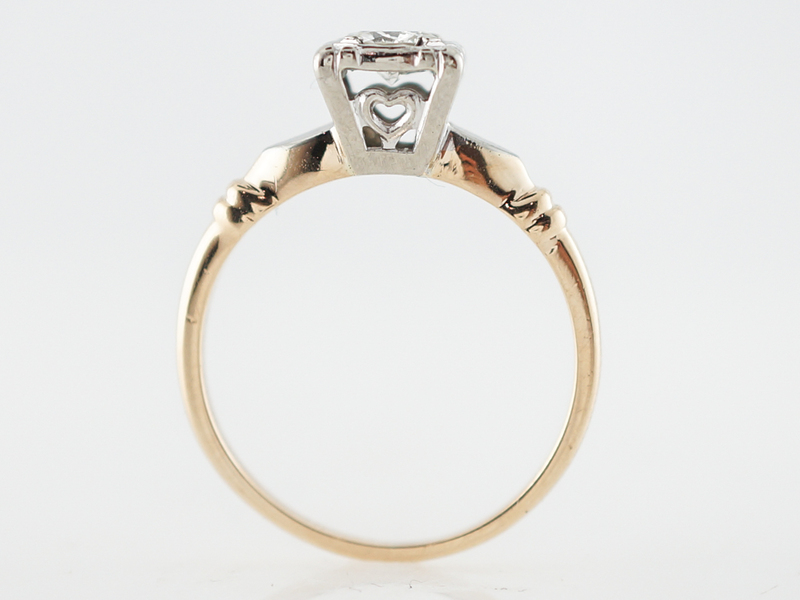 Additionally, this ring features charming engraving and metal work including a very sweet heart motif that can be seen on the profile. 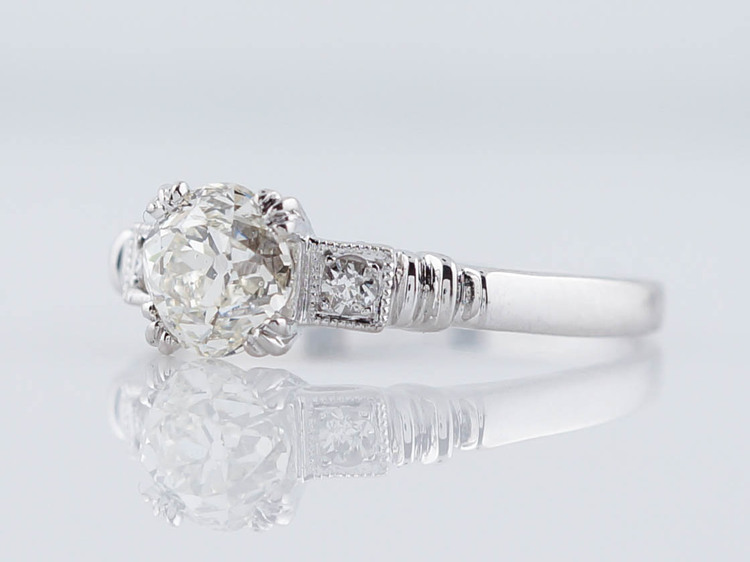 The center stone is a .31 carat round brilliant cut diamond.